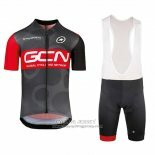 GCN cycling jerseys The front and sleeves are made of airy arctic fabric with a lightweight, breathable mesh on the sides. It offers complete freedom of movement while being soft and breathable. Has three back pockets with an extra zip pocket at the back with reflective edges to ensure maximum visibility in the darkness. 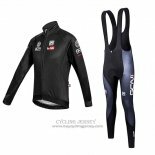 Welcome to buy GCN cycling jerseys, we will provide the best price and the most attentive service.